Perils and Pitfalls of California Employment Law provides a detailed and thorough summary of the key substantive employment laws in the Golden State and discusses the ways in which they most differ from the federal statutes that guide most of the rest of the country. 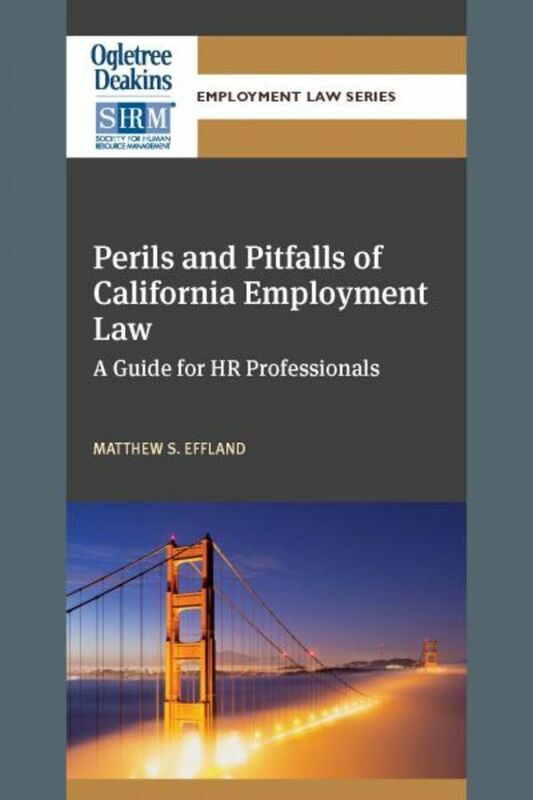 Author Matthew S. Effland approaches this topic from the perspective of an experienced HR professional who is tasked with managing a workforce in California for the first time by asking basic questions, such as How do California’s wage and hour laws compare with the federal Fair Labor Standards Act standards? How is overtime treated? Are the risks of violating the harassment laws greater in California than elsewhere? What about California’s privacy rights? Medical marijuana laws? Background check limitations? To answer these questions, and more, the book is divided into five chapters. The first two chapters deal with the most fundamental of issues—what it means to be an “employee” in California, and how to schedule and pay employees. It then turns to a discussion of the requirements found in California’s primary antidiscrimination and harassment statute, the FEHA, and how it significantly expands the rights of employees well beyond what is found in the various federal employment laws. This is followed by considering California’s numerous leave of absence laws as the state goes far beyond anything the federal government requires and provides a dozen different forms of protected leave. Finally, the book concludes with a “day in the life” of a California HR director. Follow HR Manager Shelia on her journey through a typical day in the world of HR management as she hits on many of the other laws that companies run into on a daily basis in the Golden State.